TrendSpider is a very dynamic platform allowing for the automation of many manual technical analysis processes. 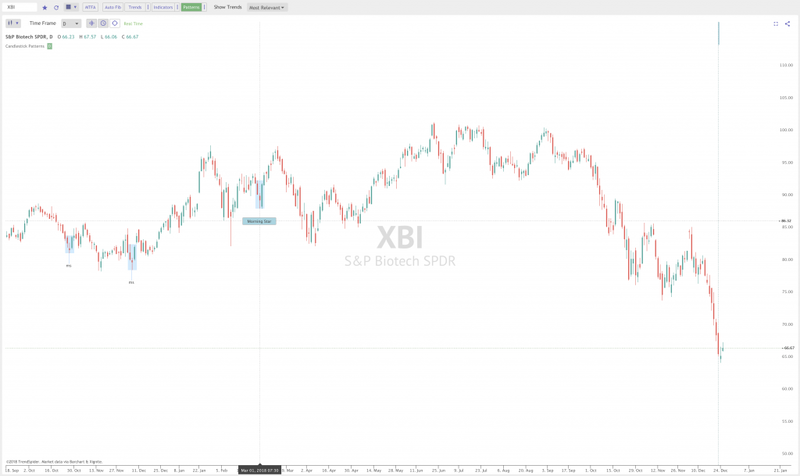 One of the most powerful automated features we have to offer is the candlestick pattern recognition feature which allows users to search for specific candlestick patterns with the click of a checkbox. In this User Guide video post, we tell you everything you need to know about this awesome feature! In order for the “Candlestick Pattern Recognition” to be turned on, click the “Patterns” button. When the button is green, the feature is activated. 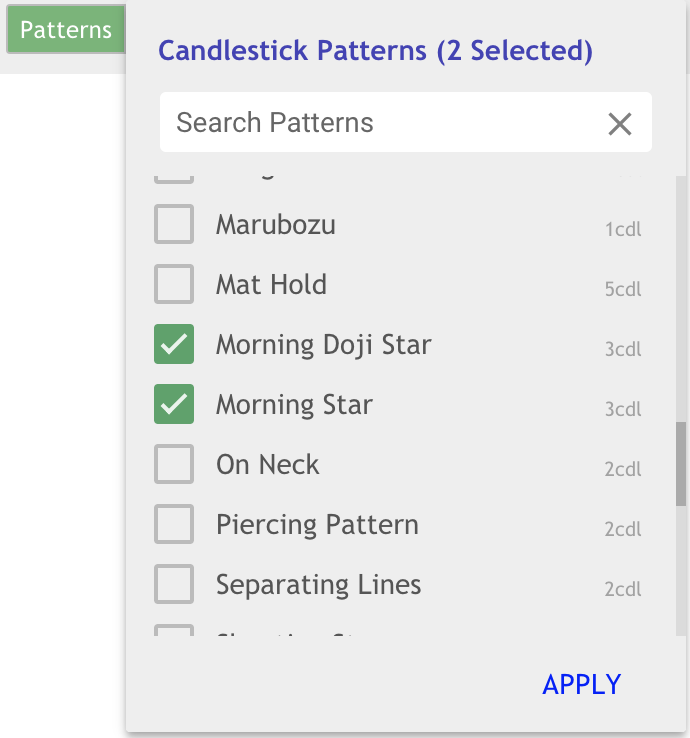 In order to get the full list of candlestick patterns to choose from, click the three vertical dots next to “Patterns”. Chose from over 50 different candlestick patterns. The user can see how many candlesticks are selected at the top of the menu and can also search for candlestick patterns instead of scrolling through the entire list. Step Four: See Your Patterns Appear on the Chart Instantly! All candlestick patterns that you have selected will show up on the chart. Then, its time to start backtesting! Enjoy!